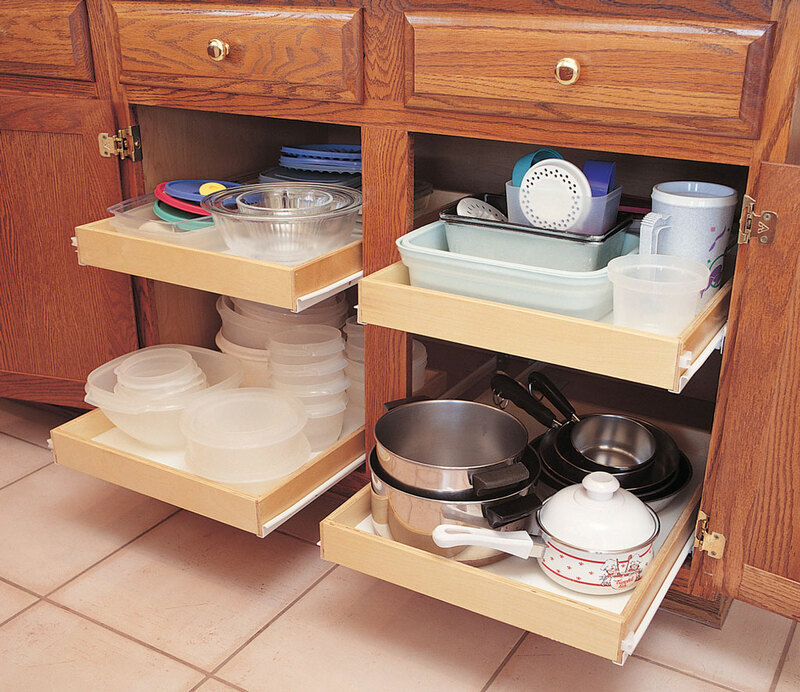 Turns any base cabinet drawer into a sliding bread drawer. 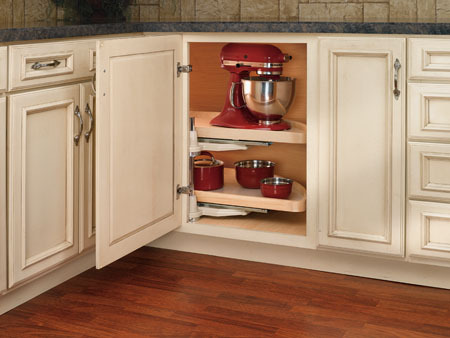 Allows storage of bread and pastries in a drawer, keeping it fresh and mold-free longer. White textured finish helps hide scratches. Can be mounted inside drawer or 3/8" above if the drawer has sufficient clearance. Includes cover, one pair of rails and screws. 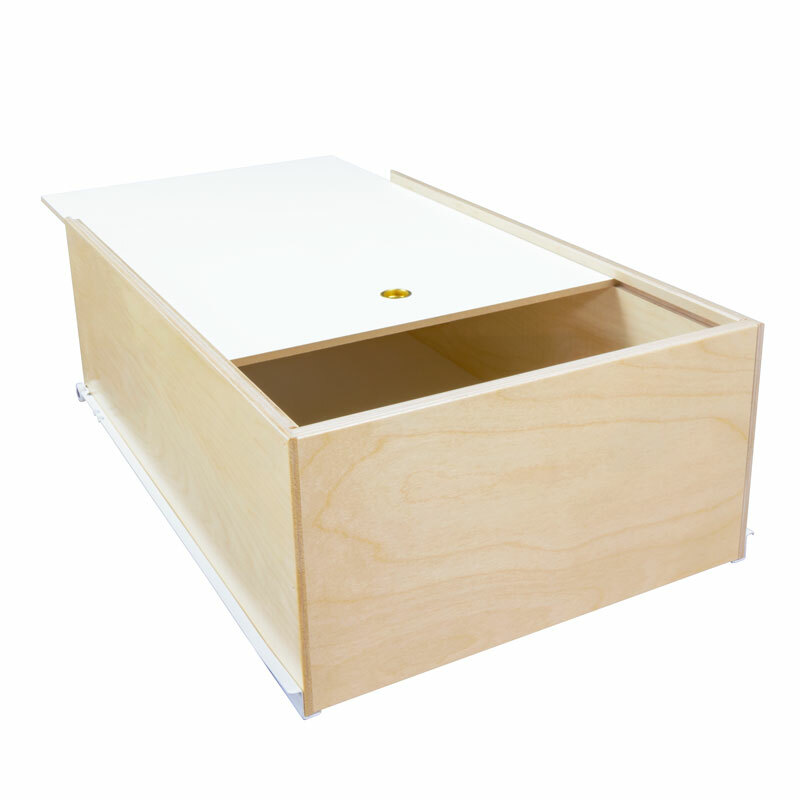 Standard size fits drawers with an interior width of 11 5/8" to 16 3/4". Large drawer size fits drawers with an interior dimension of 16 1/16" to 20 1/8". Depth on both sizes is up to 21 1/4" interior depth.